Once plagued by heavy pollution, Mexico City has since cleaned up and become one of the most vibrant and diverse cities in the world. Underneath the noise and chaos of this Los Angeles-like megalopolis lies a rich cultural heritage and an adventure around every corner. The focal point is the Centro Historico, the site of the city’s birth and the heart of historic Mexico City. Here, modern and colonial-era architecture blend seamlessly, and some of Mexico’s best museums welcome countless visitors every year. As you move away from the city center, you’ll encounter many elaborate and colorful murals that honor Mexico’s rich artistic traditions. Once you reach the outskirts of the city, you’ll be met with the Pyramid of the Sun at Teotihuacan, one of the most impressive archaeological sites in the world. 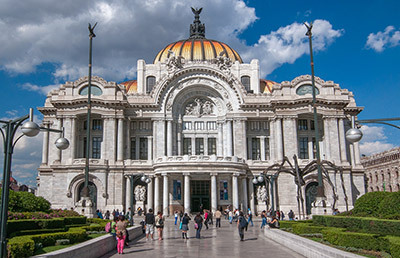 Mexico City may have a rough exterior but once you adapt to the gritty atmosphere and urban sprawl, you’ll find no end of cultural treasures to explore and unique experiences to enjoy. At the same time, the city experiences high crime in certain areas, especially districts outside the touristed zones. Be cautious at all times! Take taxis rather than public transportation and keep up to date with the latest travel advisories. Mexico City’s history is a fascinating tale of glory, ruin and rebirth. It starts in 1325 when the Aztecs (or, as they called themselves, the Mexica) founded the capital of their empire on an island in the middle of the lake. 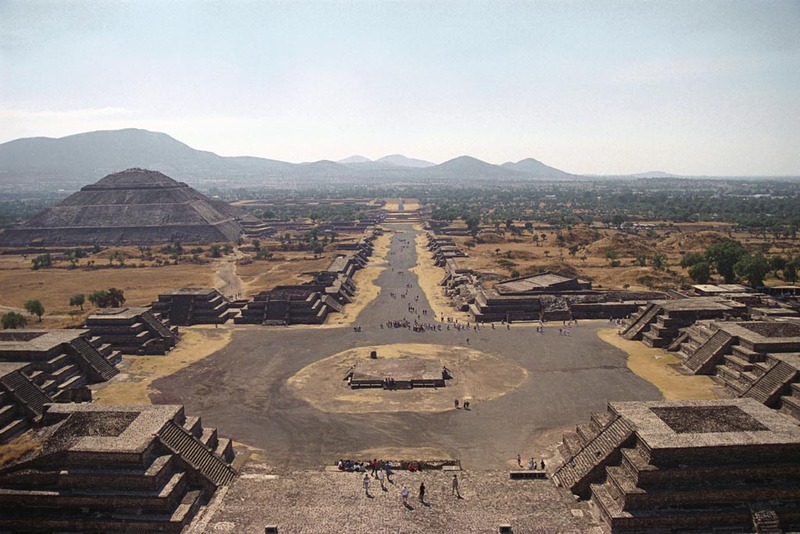 They called the city Tenochtitlan and it soon became the dominant power center in Mexico. The Spanish, led by Hernan Cortes, arrived in 1519 and were treated well by Emperor Montezuma II who believed Cortes to be a deity. However, Cortes took Montezuma prisoner, killed priests and converted Aztec temples to churches. Montezuma was killed in 1520 (how it happened is a matter of controversy) and Cortes was then forced by angry mobs to leave the city. The Spanish returned a year later and kidnapped and tortured the new emperor Cuauhtemoc as they tried to discover where his supposed treasure was located. The Spanish attempted to eradicate not only Aztec culture but also Aztec architecture in the city. They partially drained the surrounding lake and built numerous churches, public works and government offices. In the late 1800’s and early 1900’s, dictator Porfirio Diaz embarked on a massive public works project which included building tram lines and draining what was left of the Lago de Texcoco. The city’s population skyrocketed in the next few decades and many new residents were forced to live in shantytowns as a result of the city’s poor infrastructure. The city still attracts Mexicans from poor, rural areas. Mexico City is currently one of the largest and most densely populated cities in the world. Centro District: As the heart of historic Mexico City, the Centro district is distinguished by its cobblestone streets and European architecture. It is here that the city was founded by the Aztecs in 1325 and destroyed by the Spanish in 1521. Centro has an incredible amount to do so be prepared to set aside a considerable amount of time. You’ll start off in the gigantic Plaza de la Constitucion, which is the site of everything from demonstrations to concerts to Mexican Independence Day celebrations. 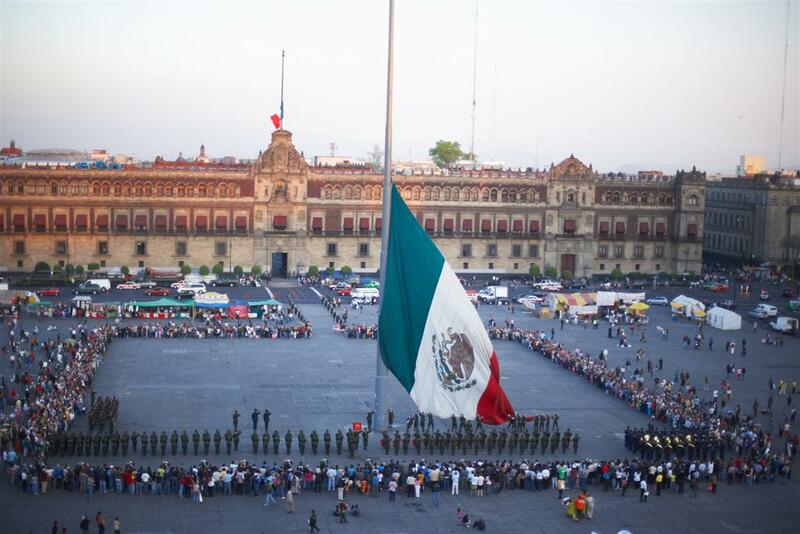 Nearby is the National Palace, which has served as the seat of Mexico’s government since the Aztec empire. The walls inside contain intricate murals, designed by famed Mexican artist Diego Rivera, depicting Mexico’s history from the Aztec era to the present. Tours are free. The grandiose Palacio de Bellas Artes stands majestically next to Alameda Park on Centro’s west side. The Palacio is considered Mexico’s prime cultural landmark. Besides the stately Art Deco architecture, the building contains some of Mexico’s most famous murals, paintings and sculptures. Other examples of art can be enjoyed in the nearby Museo Franz Mayer, which contains the largest collection of decorative arts in Latin America, as well as over 10,000 books. And for an amazing view of the city, head up to the 42nd floor of the Latino-American Tower, Mexico’s first skyscraper. Chapultepec: Meaning “Grasshopper Hill” in the Aztec Nahuatl language, Chapultepec is one of the largest public parks in the western world. The park is referred to as Mexico City’s “lungs” for the enormous amount of foliage it contains. The park also has a huge variety of wildlife including the exotic, endangered axolotl. Chapultepec contains the city’s largest and most visited zoo: the Zoologico de Chapultepec. The zoo boasts over 2,000 animals representing over 200 species. For outdoors activities in the city, there is no better place than Chapultepec. You can walk the park’s trails, go boating on the lake and explore the botanical gardens. If you’re bringing kids, be sure to take them to the La Feria Chapultepec amusement park, containing numerous rides such as the world’s tallest roller coaster. The park is also home to the National Museum of Anthropology, considered to be one of the world’s greatest natural history museums. Covering 1.5 square miles and 23 exhibition halls, the museum holds some of Mexico’s most important indigenous pre-colonization treasures. The most famous of these is the Sun Stone, which forms the basis for the Aztec calendar. Other exhibits include objects excavated from the Mayan city of Chichen Itza in Yucatan, giant Olmec head stones, a replica of Mayan ruler Pakal’s sarcophagus and a model of the city of Tenochtitlan. Other areas of the museum focus on Mexico after colonization, and the museum sometimes hosts travelling exhibits on other world cultures. Last but not least, sitting atop the hill in the middle of the park, is Chapultepec Castle. 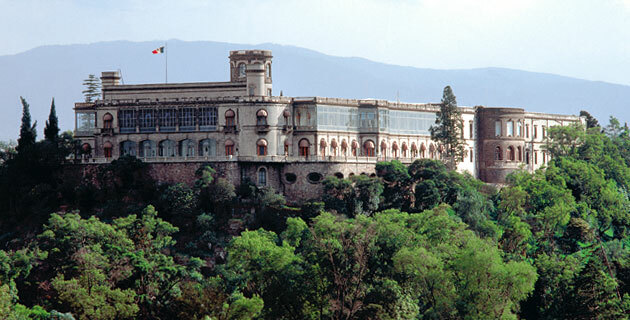 Constructed in 1775 as a home for the Spanish Viceroys of Mexico, the Castle was the scene of the 1847 Battle of Chapultepec in the Mexican-American War. It was subsequently remodeled along neoclassical lines and turned into the residence for Emperor Maximilian I and his wife Carlota. The castle boasts a lavishly decorated interior, terrific views of Mexico City and the National History Museum which contains the belongings of the Emperor and Empress. Coyoacan: Located in Mexico City’s southwest, this district is a peaceful residential area that’s popular with bohemians. It’s also where internationally renowned Mexican artist Frida Kahlo lived. The Frida Kahlo Museum (a.k.a. the Blue House) is the modest, yet beautiful indigo-painted home where Kahlo was born, lived with her husband Diego Rivera and died in 1954. Visitors can see the tranquil courtyard, art galleries and the historical portion of the house that’s been preserved as it was when Kahlo was alive. The Anahuacalli Museum, an impressive Aztec-style pyramidal building designed by Diego Rivera, served both as Rivera’s studio and storage space for his collection of pre-colonization artifacts. Tickets here cover both the Anahuacalli and Kahlo museums. The Leon Trotsky museum is where the outcast Soviet leader lived and was assassinated by a supporter of Stalin in 1940. Trotsky was given asylum in Mexico in 1937 thanks to the efforts of Kahlo and Rivera, but he had a falling out with the couple in 1939. Visitors can see the house as it was when Trotsky lived there. The room where he was killed is preserved exactly as it was when it happened. Exhibits include family photos, the guard tower and Trotsky’s tomb. One of Mexico City’s most striking buildings is the Museo Soumaya. Built by Mexican billionaire Carlos Slim, the sleekly designed Soumaya has over 66,000 works of art spanning 30 centuries. In addition to an extensive pre-colonization art collection, the museum holds pieces by renowned figures such as da Vinci, van Gogh, Monet, Dali and more. The Soumaya is Mexico’s most visited art museum. Xochimilco: If you’re willing to head far outside the city center (a 90-minute trip by public transportation,) you’ll be rewarded with a relaxing canal cruise on a colorfully painted boat. Music boats float by with mariachi bands and marimba players, making this one of the most authentic and lively Mexican experiences in the city. Day trips: An excursion to the pyramids of Teotihuacan is an essential part of any Mexico City trip. Located just 45 minutes from the city center, the ancient Aztec city of Teotihuacan is home to some of the world’s largest pyramids. The largest of them is the Pyramid of the Sun. Climb to the top for a sweeping view of the city and surrounding mountains. If you’re feeling adventurous, hop in a hot air balloon and get an even better view. A nearby museum has artifacts recovered from the pyramids as well as a model of the Teotihuacan complex. For some R&R, head to the scenic town of Valle de Bravo. Besides water sports on Lake Avandaro, one of the most popular things to do here is catch the monarch butterfly migration in late December-early January. If you want to see it, be prepared to do some serious hiking to get to the butterflies’ tree reserve on the mountain. With a Jewish population of over 50,000, Mexico City has no shortage of shuls or kosher restaurants. For a full listing of shuls, log onto maven.co.il and search for Mexico City. As recommended by food traveler Ettie Cohen of The Forward, one of the city’s best kosher restaurants is Restaurante Sinai. Located in the Centro Historico, this quaint eatery serves excellent, authentic Mexican food including chicken with mole poblano and mouth-watering Molcajete de Carne (a meat assortment served sizzling hot in a Mexican stone grinding bowl). If you’re pressed for time and happen to be in the Coyoacan district, check out the Kesaricas D’Mario kosher taco stand. It has a huge variety of Mexican vegetarian dishes including quesadillas, tortillas, ensalada and deep-fried plantains. Most visitors reach Mexico City via plane and land at the Benito Juarez Airport. Flights currently start at around $430 per person round trip. Greyhound bus fares start at just over $300 per person round trip. If you’d prefer to drive there, be sure to keep updated with the latest travel advisories and avoid high-crime areas. Also be sure to purchase Mexican car insurance since American insurance is not recognized by Mexican authorities. The trip is about 31 hours or 1,900 miles long.